Porsche is the ultimate in automotive performance. Renowned the world over for the way our drivers connect to the roads they travel, Porsche has a long history of innovation unlike any other. Porsche is high-functioning design that exceeds performance expectations in every model. 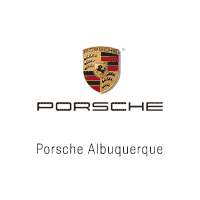 At Porsche Albuquerque, we retain some of the best certified sales professionals, the most highly trained service technicians in the industry, and a passionate commitment to customer care. We value our relationships with our customers, and welcome you to visit the dealership. Located just off I-25 at 8900 Pan American Frwy NE, we look forward to seeing you soon. For over 25 years, Porsche AG has provided the Personal Design Service in Zuffenhausen which allows customers first-hand experience and assistance from factory employees when designing their cars. As an extension of the original program, our factory-trained Personal Design Specialists now assist dealers and clients from within the United States. Our Personal Design Studios are located in the new Experience Center in Atlanta, Georgia and in Beverly Hills, California. These locations provide the best possibilities for design concepts because of the extensive collection of sample leathers, paints, and trims, as well as Exclusive parts. How will you be able to realize your dream? Make an appointment with your Porsche Dealer to discuss your needs, or use the online Porsche Car Configurator to visualize your design. And for further assistance, please ask the Porsche Personal Design Team to set up an appointment and begin the process of creating your “most personal” Porsche. Our Personal Design Specialists will be happy to advise you on your “most personal” Porsche. You may ask your dealership to set up an appointment with us. We are also available for telephone and email consultations. Call to make an exclusive appointment at (505) 821-4000.